An asphalt paver is an essential piece of equipment for virtually any type of paving project. Whether you’re laying down roads and driveways for a residential construction project, creating a parking garage for a commercial complex or resurfacing governmental highways and interstates, the right equipment is critical to your success. 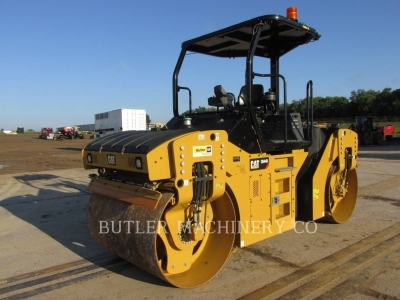 At Butler Machinery, it’s our goal to take the time and worry out of purchasing used heavy machines. We offer an extensive inventory of used paving equipment for sale that’s serviced and inspected to meet the highest standards. Our experienced team of mechanics and technicians completely recondition machines to ensure they’re capable of performing in the most rigorous applications over an extended service life. If you’re wondering, “Where can I find used paving equipment for sale near me?” you’ve come to the right place. 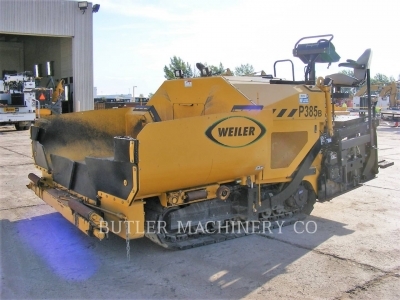 Butler Machinery is home to a wide variety of reliable pre-owned paving and compaction equipment at prices that make sense to your bottom line. We've been helping contractors succeed and in North and South Dakota for over 50 years. Within our selection of reconditioned paving equipment for sale, you’ll find pavers and compactors manufactured by Caterpillar as well as quality solutions from other leading Allied brands. We carry a broad range of late-model, low-hour machines as well as older equipment that’s been well maintained and fully refurbished. As a leading source of heavy equipment in North and South Dakota for over 60 years, Butler stands behind all of our products and is dedicated to your 100% satisfaction. We carry both track and wheeled asphalt pavers in a range of sizes and configurations to meet your unique requirements. Whether your project involves creating paths in a public park, paving an airport runaway or other wide-width applications, we’ll help you find the machines that represent the most efficient fit. We can also provide paving and compaction equipment for rent by the day, week, month or longer. For three generations, Butler Machinery has been proud to be a partner in the success of our customers. We’re focused on building long-term relationships by offering the quality and value you need to control costs and maximize productivity. When you’re looking for reconditioned paving equipment for sale or any of our other products and services, you’ll benefit from the knowledge and experience of our highly trained team. Give us a call or get in touch online for more information on our current used inventory.